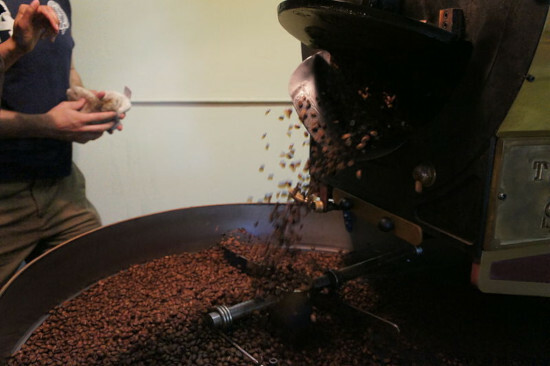 Is roasting your own coffee worth the time and effort? This is a question only very serious at-home brewers, dedicated baristas, and passionate coffee connoisseurs ask themselves. Being able to roast your own beans will give you the freshest coffee flavors and the most authentic coffee experience, and it’s all created by you! That’s something to be proud of. If you’re curious about if the process would fit into your lifestyle, you can keep reading to find out if it’s worth it for you. Buy the equipment; air roaster (small batches), drum roaster (large batches), stove top roaster, cast iron pan, popcorn popper. There are many things with the ability to roast coffee. Research the best method for you. Store your freshly roasted beans. The best storage is in an air-tight container placed in a dark, cool, and dry place. 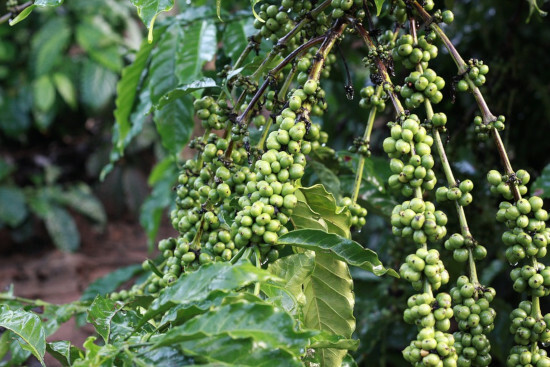 Where do you Find Green Coffee Beans? Online is the best place to find them. Places like Sweet Maria’s, Bean Revolution, or Coffee Compass have great quality and a variety of origins to choose from. There are coffee roasteries and cafes that roast their own and may sell their green coffee beans to you. If you want to go that route, you’ll need to scout it out locally. But of course, the benefits are several fold. It’s always handy to make connections with your community to maximize your coffee knowledge. Buying Tip: Buy double the green coffee beans you think you need. For example, 1 pound of green beans will turn into half a pound of roasted beans. If you want one pound of roasted coffee, get two pounds of green beans. Make sure you get a bean that you like! When buying in person it will be hard to tell what it’s like when roasted. Green coffee beans smell grassy, so there’s no way to know by the raw smell what the aroma and taste will be like after roasting. In a raw state, they are very hard, so you definitely can’t taste them. If you are buying online then these obviously aren’t options either. As a consumer, the solution is to pay attention to the origin and base flavors of the bean, as well as if it is Arabica or Robusta. Don’t worry though, online green coffee bean vendors have descriptions that give you details like this. It’s good to know what flavors you like in your coffee before ordering, or just try something new! How much time does it take to roast your own batch of beans? Well besides sourcing the green coffee beans, you have the steps of the roasting process. This process takes between 10-13 minutes for small batches and 16-18 minutes for large batches to roast. 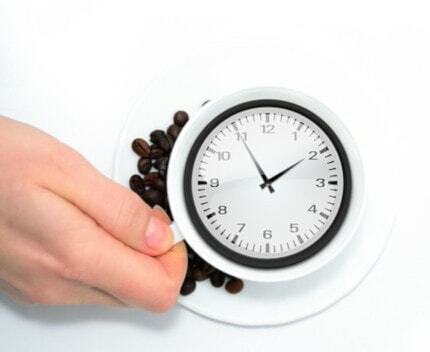 Altogether, it might take 20 or 30 minutes of your time to roast a final product of one or two pounds of fresh coffee. Consider not only the time it takes to roast it at the moment but the amount of time it will take up in your weekly schedule. Remember this is something you will need to do every one to two weeks as you restock your beans. If you buy bulk batches of green coffee to roast, you could keep beans for up to a month and only do monthly roastings. During the roasting process, coffee beans absorb heat which darkens the color of them. At higher temperature, oils appear on the surface of the beans. At 401°F the beans crack for the first time and start to expand. Around 437°F is the second crack. Watch the color change darker and listen for the first crack. Coffee beans are never roasted above 482°F, because it will start to thin out the bean and create a burnt taste. You probably don’t want to drink charcoal. How Much Effort Goes Into This? What’s the level of skill and attention that goes into roasting your own beans? Is it really worth learning or should I let the experts do this for me? Well, the answer to that depends on your motivation and willingness to learn the art. It does take some more effort than just buying a bag at the store or coffee shop. While it may seem like a lot, keep in mind that it will get easier as soon as you establish a roasting routine that compliments your lifestyle. 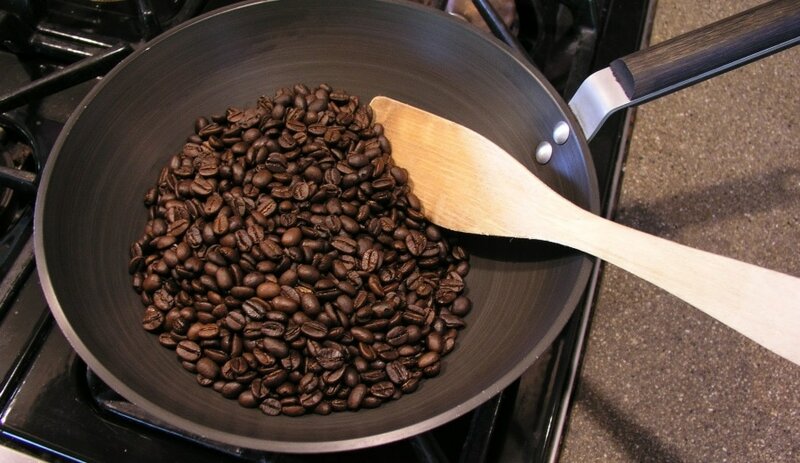 If you are worried about finances, there are cheap ways to roast coffee beans. Instead of paying for a commercial coffee roaster, you can use a cast iron pan. This is cheaper and is easy enough you can do it while camping. If you own a popcorn popper that will also work because it is designed to pop popcorn at the same temperatures needed for coffee roasting 400+ degrees Fahrenheit. Besides the fact that you get to craft your coffee from start to finish, you also get to learn some new skills. Learning to roast doesn’t take too long once you have all the equipment and get in a good roasting routine. You also get to enjoy coffee the way it’s meant to be tasted. When you roast your own coffee, you will know where the beans come from, what the base flavors are and what the bean went through before reaching your cup. Another huge benefit is that because pick the roast level, it’s easy to control the flavor of your coffee. Roast level can determine how citrusy it is (lightly roasted), how balanced and earthy it is (medium roast), or how sweet and caramelized or smoky it is (dark roast). Caffeine level is also controlled by the roast. The less it’s roasted, the more caffeine is retained. If you want a lot of caffeine, leave it lightly roasted, but if caffeine level isn’t as important then medium and dark roasts develop great flavors. Roasting your own coffee beans can be worth the time and effort for those that value the ultimate fresh factor. Coffee is best during the first few days after roasting. This means you always get to enjoy your coffee at its best. The roasting lifestyle is best for those that have the motivation and willingness to source the beans and learn the roasting process. Besides that, roasting does not take a lot of extra effort. Now you know after reading this if roasting your own beans suits you and your lifestyle. We’ve gone more in-depth on how to roast yourself in our coffee roasting step-by-step guide.